"And what it is to work with love? It is to weave cloth with threads drawn from your heart, even as if your beloved were to wear that cloth. It is to build a house with affection, even as if your beloved were to dwell in that house. It is to sow seeds with tenderness and reap the harvest with joy, even as if your beloved were to eat the fruit. It is to charge all things you fashion with a breath of your own spirit. 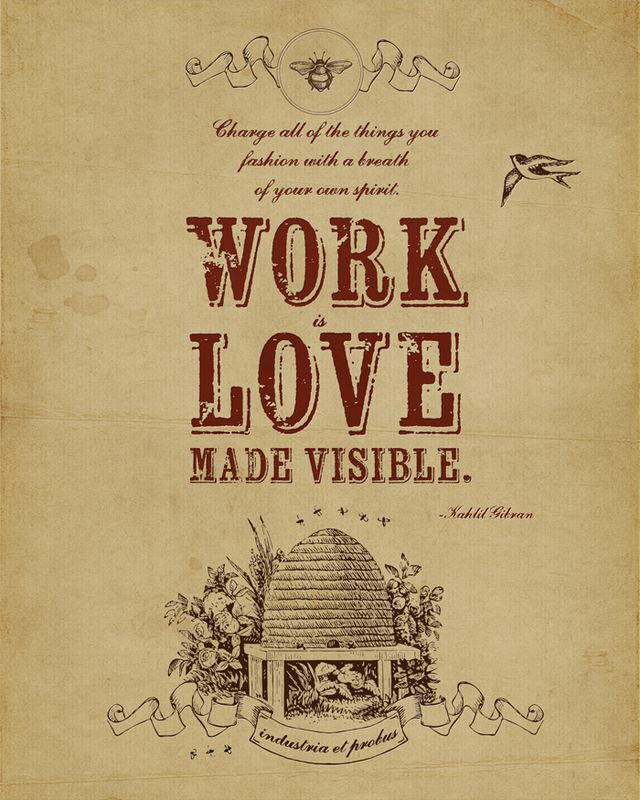 Work is love made visible." This is set as an 8x10, and please feel free to Pin it, or contact me if you'd like a printable version! Jun 21 My FREE Class starts Monday!